Registration will be through Motorsport Reg will open at 7:00 am on Monday, January 28, 2019. 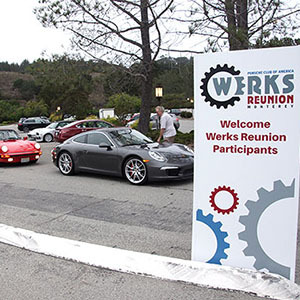 You must be a current Zone 7 PCA member, and you must drive your Porsche. You will be in a group, where you will be part of an 18 car caravan, and you will have to be able to keep up on these wonderful mountain roads, especially when your group has to pass safety. Therefore, it is required that your Porsche be in very good condition before the tour! The Tour Route and Details will be available in December on Motorsport for your review. As an overview: it will be a four day event covering about 900 miles of the best of the mountainous roads of Shasta, Trinity, Siskiyou, Tehama and Lassen Counties. The Fee is the same as last year–$750 for a couple and $440 for a single. The Fee includes the Tour Fees, lunch and dinner on Saturday, Sunday and Monday. We have paid for your breakfast Saturday through Monday, if you stay at the Host Resort. Dinner upon arrival on Thursday and your Hotel Room are Not Included, though the Host Resort has a special PCA rate available. 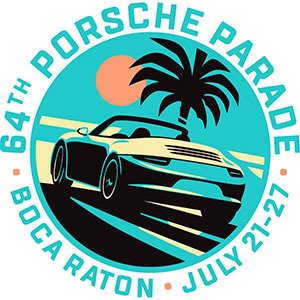 Registration is limited to 54 Porsches (3 groups of 18–(48 “doubles” and 6 “singles”)). Be advised: This is our third year, and the 2018 Tour “Sold Out” in about 90 minutes. Download/view the event flyer here.